The breadth of topics covered at the LOCUS Leadership Summit: Rebuild America’s Neighborhoods reflected the breadth of expertise among attendees. 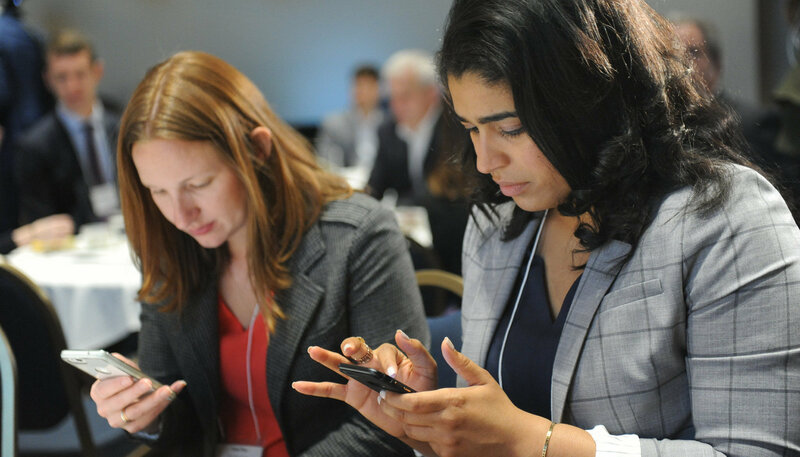 Here’s a look back at the walking tour, keynotes, sessions, and Capitol Hill lobby with the First & Main coalition that were caught live on Twitter with #LOCUSsummit2018. It’s Infrastructure Week here in Washington, and everyone inside the Beltway is talking about the benefits of investments in roads, bridges, and transit. In two weeks, as part of the 2015 LOCUS Leadership Summit, we’ll hold three walking tours that showcase neighborhoods transformed by investments in infrastructure—and you’re invited to join us. One of the Washington, DC’s most historic neighborhoods, H Street has been home to legendary performance venues such as the Atlas Theatre and the H Street Playhouse. Now the center of a redevelopment renaissance—including construction of a new streetcar line—H Street NE is fighting to maintain affordability for residents both old and new. This once-small neighborhood has grown steadily over the last few decades, and more recently boomed with the construction of large mixed-use development project, Monroe Street Market, one of the most prominent examples of transit-oriented development in the DC metro area. Once an “edge city” of primarily office and retail space, Tysons has taken a leap into new residential and commercial markets. The Silver Line, Metro’s most recent addition to its system, has garnered interest in mixed-use development and walkability in Tysons. Explore the newest investments toward this goal, including the Greensboro Park Place. The 2013 LOCUS Leadership Summit was held on June 3-5, 2013 in Washington, D.C. A walking tour of NoMa was one of the many items in this year’s agenda. At certain times of day, competition for an available bicycle can be fierce at the Capital Bikeshare station on the corner of 1st and M Street NE in Washington, D.C. That intersection serves as the unofficial crossroads for the city’s newest and fastest growing neighborhood, NoMa (short for “North of Massachusetts Avenue”), where a building boom is in full swing. On a typical weeknight, the sidewalks of NoMa brim with young professionals, who stop in at the new Harris Teeter grocery store or CVS pharmacy before heading to one of the nearby apartment buildings or the local Metro station. High above, the numerous construction cranes dotting the neighborhood serve as reminder that the frenetic pace of growth in the area shows no signs of slowing.